Do you have something in a Birkenstock? Fairy tales miss the mark when it comes to really telling a story. As I child, I would rush through the illustrated pages to get to the part when the Prince planted that life-renewing kiss on the Princess’ lips or the little glass slipper was delicately placed on the foot of Cinderella and they found their happily ever after. At that young age I didn’t realize that the true depth of that fable should have been in the whole story and not just the ending. Along the way the malleable minds of youth should have been introduced to the somewhat imperfect side of fairy tales to prepare us a little more for reality. I’m all for happy endings. I know many couples who have found theirs. But I also know many people who have kissed a lot of frogs and are still waiting for that Disney-worthy moment before the curtain closes. What we missed as children was the real meat of the relationships in those fairy tales. Nothing in those woven myths gave us cause to concern ourselves with what happens after the shoe fits. In the animated versions of those fictional accounts, the music comes to its crescendo and we are left surfing on the tsunami of perfect love. But what if Sleeping Beauty just wanted another eight hours of sleep before she stepped back into a life she was trying to avoid? What if Cinderella didn’t want the shoe to fit anymore but was too afraid to speak up? We have to remember there are a lot of other shoes out there. 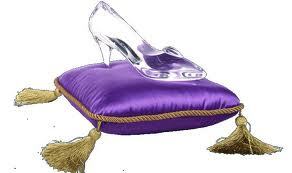 Just because that glass slipper fit like a glove doesn’t mean we should feel obligated to wear it and put ourselves through a great deal of discomfort in the process. Sure, we’ve all heard the saying “if the shoe fits” but if the shoe does fit and you don’t like it, don’t be afraid to look for another shoe. Great title!! Excellent post, too. Loving the shoe analogy😊 especially as I have a favourite pair of flowery birkenstocks! Thank you. I hope you’re doing well.